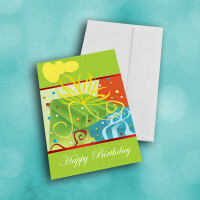 Send a classy birthday greeting card, still bursting with birthday cheer. 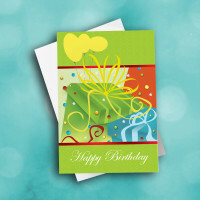 This card is sure to bring joy to whoever recieves it. 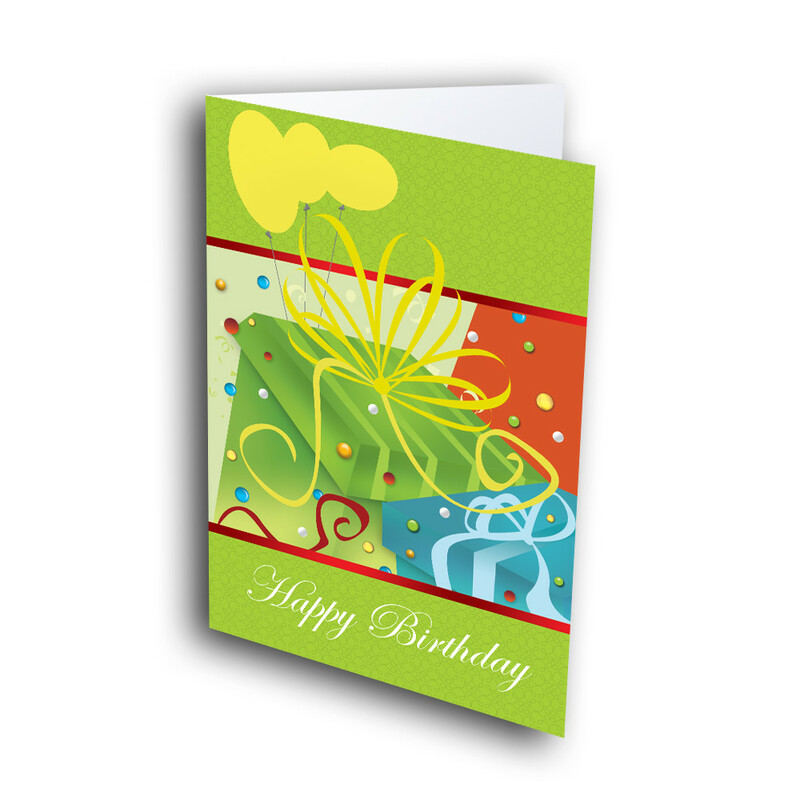 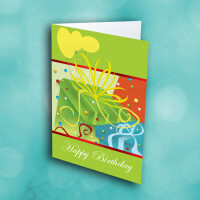 The top and bottom are bordered by a bright-green, patterned background, with the birthday greeting elegantly penned across the bottom. 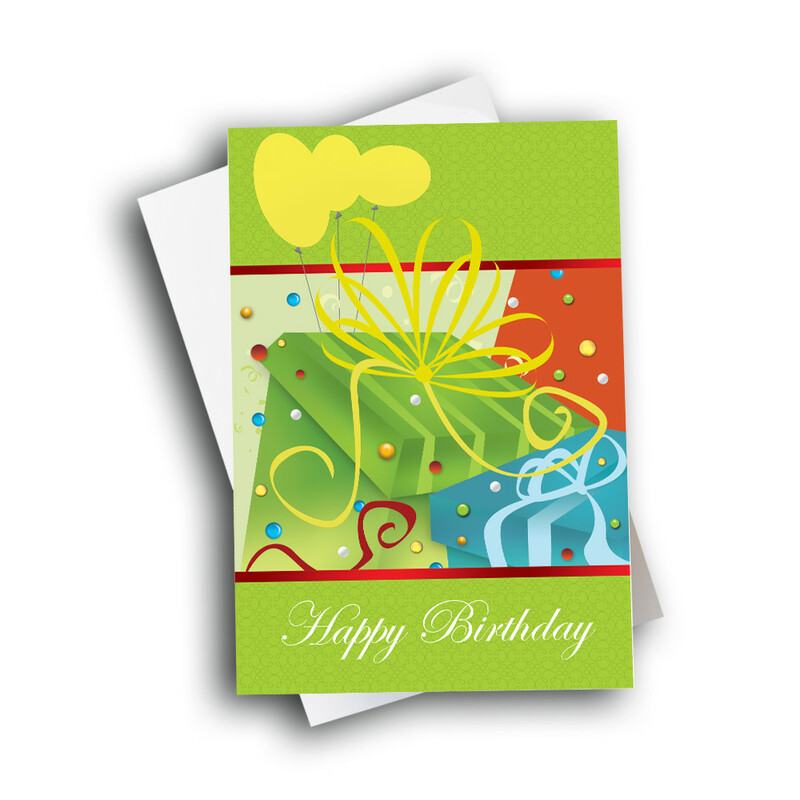 The center is adorned with presents, ribbons, balloons, and confetti, all adding a sense of festivity and excitement to this birthday card. 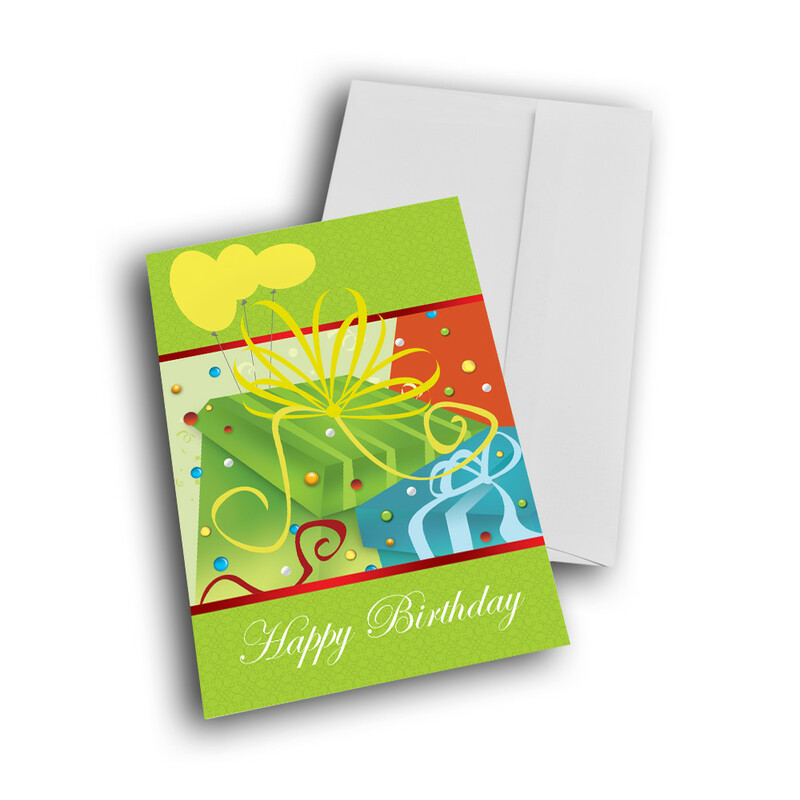 The message inside can be personalized to give this card a unique touch.